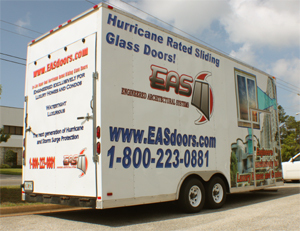 EAS Doors is proud to display our products in our Mobile Showroom. This showroom travels to expos and shows around the country. 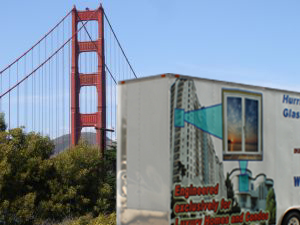 In addition to our conference and expo displays, the BEI testing chamber, and tent displays, our mobile showroom proudly showcases our products around the country. Visit our EAS News page to learn of upcoming events where you may be able to visit our Mobile Showroom. EAS News page often for updates and event schedules.